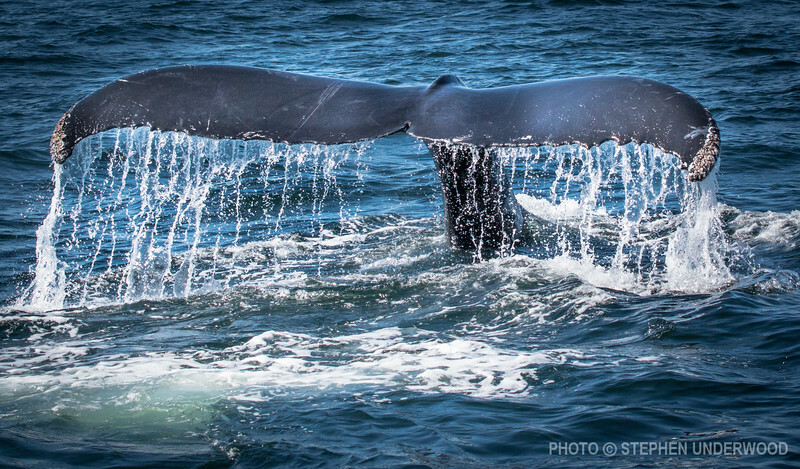 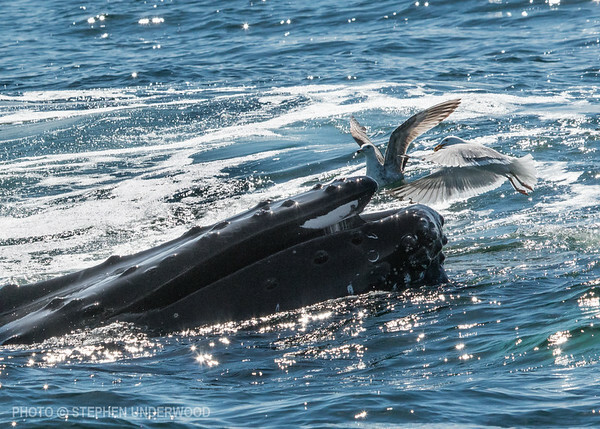 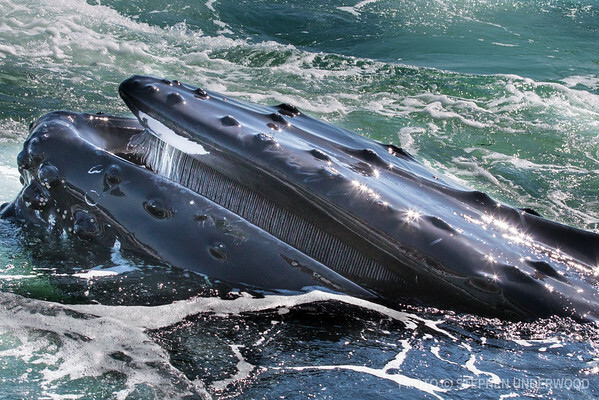 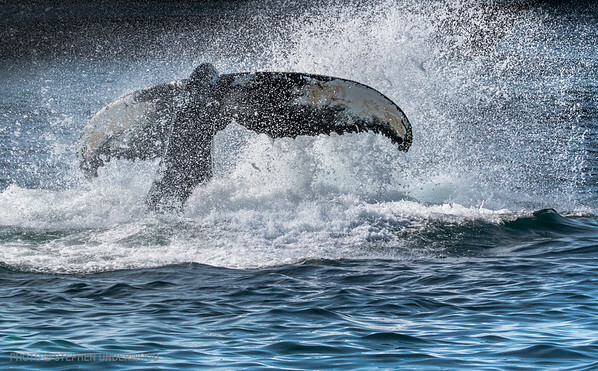 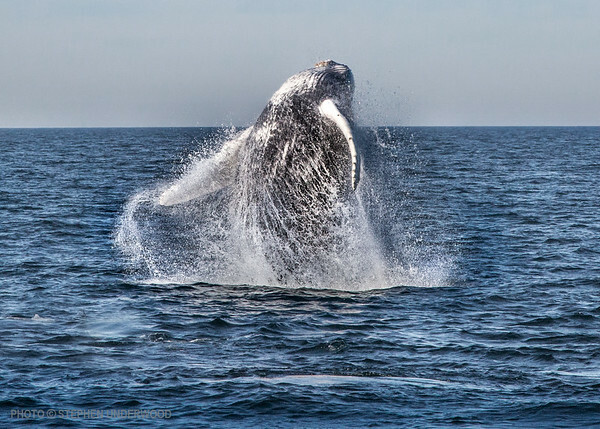 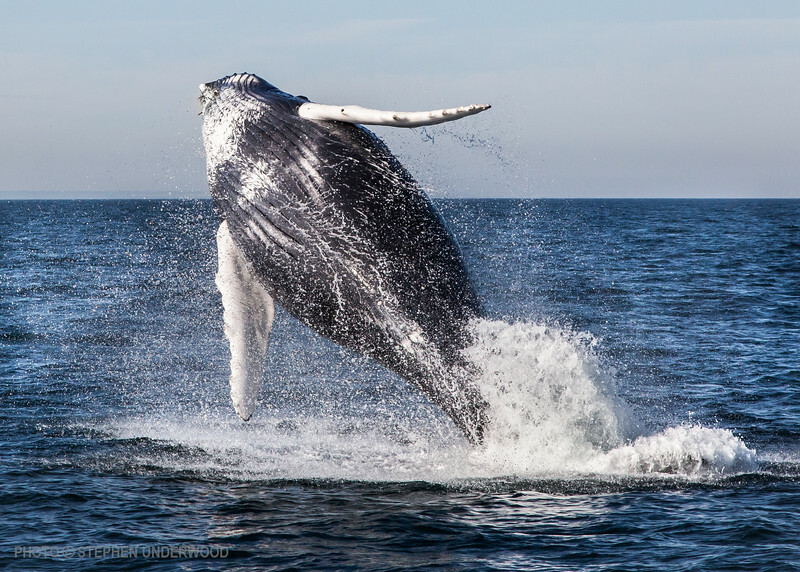 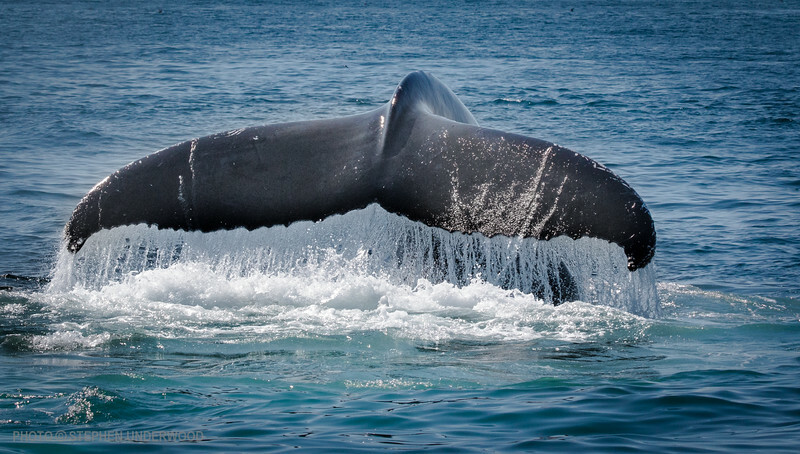 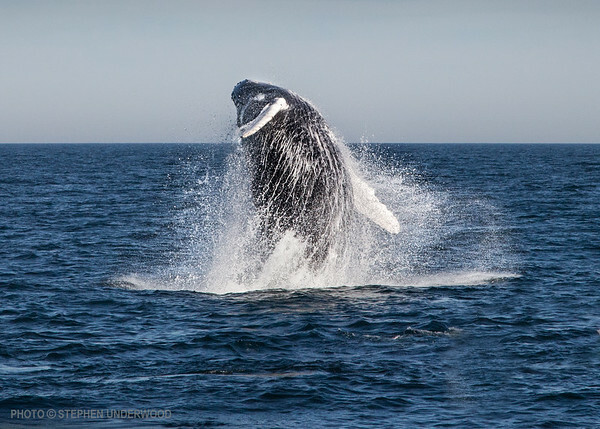 A humpback whale surfaces after 'bubble net feeding' at Stellwagen Bank off Massachusetts. 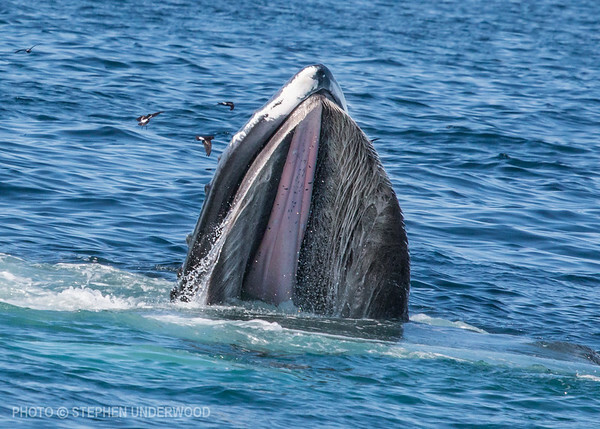 This is a remarkable method of feeding where cooperating whales swim in a circle blowing air bubbles below and around a school of small prey fish to confine them. 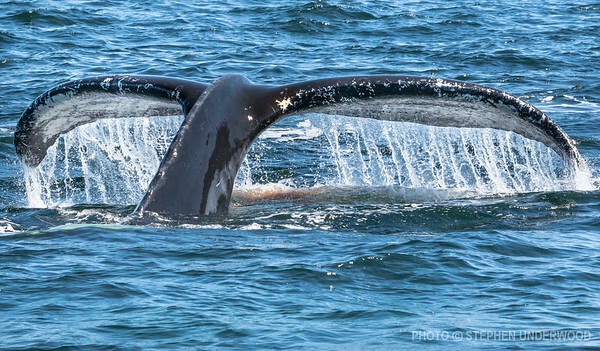 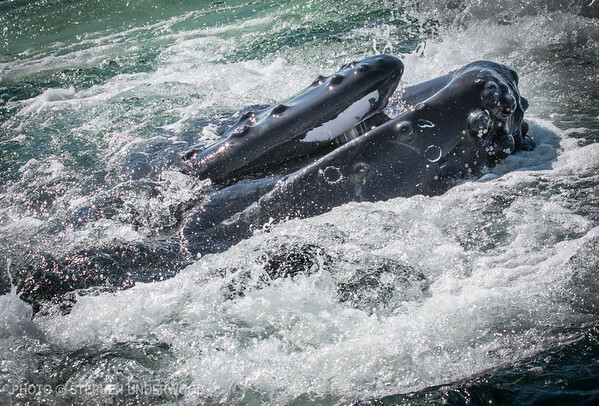 The whales then swim upwards through the 'bubble net' with mouths agape to catch numerous fish. 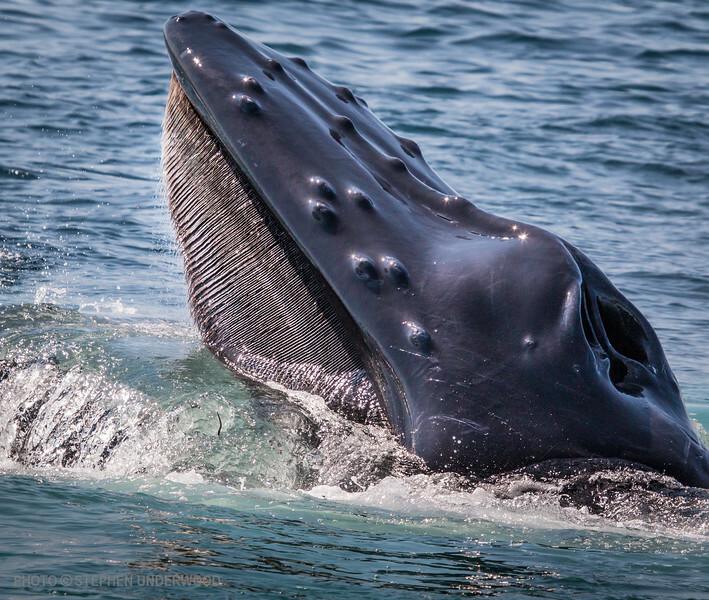 The fish or other food are filtered from the water by the baleen in the whale's mouth.